DAVID LE/Staff photo. 3/5/15. 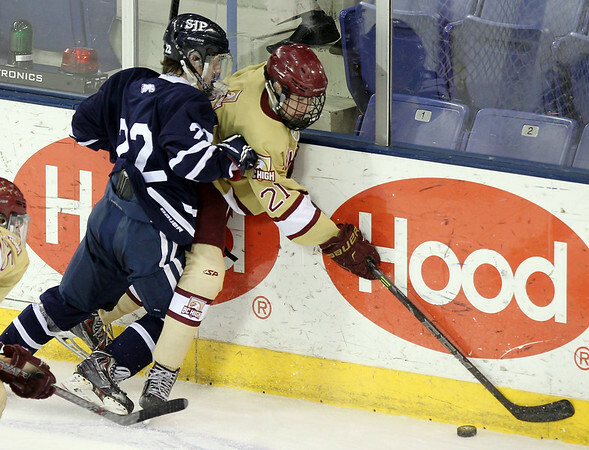 St. John's Prep junior defenseman Seth Murray (22) staples BC High sophomore forward Ian Murphy against the boards while fighting for the puck.